松益工業有限公司 - Sturdi Sealing Tech. - 軸套，修補軸心，曲軸修復軸套，軸軛套維修，修理密封槽傳動軸，艇維修進站軸，傳動軸重建，諧波平衡器，凸輪軸，正時蓋，變速箱輸入軸維修，齒輪軛差分維修/重建/環保，槽飛輪轂，齒輪箱輸出法蘭，動力輸出軸軸套，舷外機船馬達引擎重建，工業齒輪箱和電機軸，非公路的建設和農業應用，工業泵和重工業，破碎機，輸送機，電機，減速機，風機和泵。Shaft repair sleeve, speedi sleeve, redi sleeve, kwik sleeve, Crankshaft repair sleeve, shaft yoke repair sleeve, repair seal grooves drive shaft, Boat Repair pitted shaft, Drive shaft rebuild, Harmonic balancer, Camshaft, Timing cover, Transmission input shaft repair, Pinion Yoke Differential repair, Rebuild, Remanufactured, Grooved flywheel hub, gear box output flange, PTO shaft sleeve, Outboard Boat Motor Engine Rebuild, Industrial gearboxes & motor shafts, Off-highway for construction and agricultural applications, Industrial pumps and heavy industry, Crushers, conveyors, motors, reducers, fans and pumps rebuild repair. 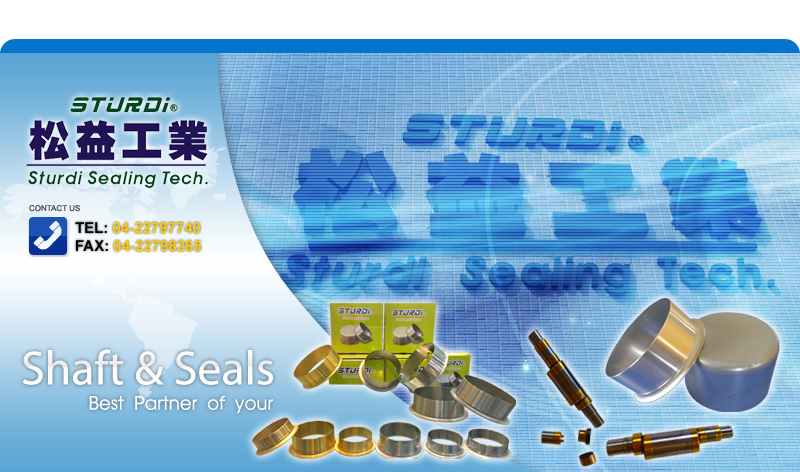 Copyright © 2013 Sturdi Sealing Tech. All Right reserved. Global-Trade, Global Machine, Global Bicycle, HiGo Shopping.